In our latest Joint Case Study, we take a look at how the team at Centaur Live used InGo's Advocate Marketing to grow co-located shows Subcon, Advanced Manufacturing Show and The Engineer Design & Innovation Show with qualified, engaged attendees, smashing visitor records in the process, and all for an attendee acquisition cost that's hard to believe! As you know, there’s nothing we like better than sharing the stories of our customer’s success. Outstanding client results are the most important type of marketing, the “proof in the pudding” so to speak, and today’s case study is no exception. The International Congress and Convention Association (ICCA), the global experts in international association meetings, approached InGo in their search for a way to increase attendance at their annual Congress. ICCA had a robust social media strategy but needed a way to more effectively capture the attention of its members and convince them to attend the Congress. They understood that the most effective marketing - word of mouth marketing - can’t be purchased and turned to InGo as a way to offer their members the means, motive and opportunity to share their excitement for the Congress. ICCA utilized all the features of the InGo Advocate Marketing app, including: Social Registration; InGo’s unique, peer-2-peer Personal Invites; Social Posting to the attendees’ social news feeds; and the Who’s-In Social widget to display who was already attending. The results? 18% of delegates attending the 54th ICCA Congress came in through the InGo channel and the 2015 ICCA Congress broke it's Americas attendance record. Read their full case study for tips on how to use social media at events, including details of their InGo campaign and acquisition numbers here: https://meetingspr.wordpress.com/2015/12/16/using-social-media-to-maximise-education-and-networking/. We are pleased to offer the latest in our series of Joint Case Studies sharing client experiences and results. Comexposium’s ad:tech Australia worked with InGo and InGo Certified Registration Partner etouches to quickly and easily enable Advocate Marketing for the 2015 edition of the event, leading to astounding results. 68 percent of exhibitors say that lead gen is in their top three objectives for exhibiting at a trade show or conference. In fact, even in our digital world, for many companies, face-to-face marketing events are their most valuable marketing channel. This is the promise of an event, made to both the attendees and exhibitors; come and meet the people you are trying to find! But sometimes this is a struggle, and oftentimes exhibitors walk away vaguely disappointed with the return on their investment. Well, there is good news for show organizers, and it is InGo. InGo is already known for providing best-in-class attendee growth for events, but the advocate marketing it empowers also produces a powerful ROI for exhibitors. Exhibitors are provided with the new and quality leads they are looking for as a result of InGo’s Advocate Marketing driving organic growth in net new attendance. And the lead scan data confirms that the results are impressive! We’ve just published our first case study focusing solely on exhibitor ROI. 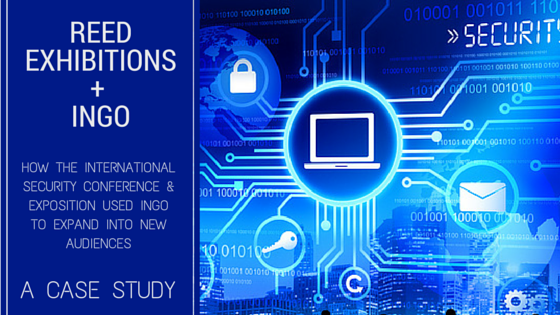 Download the full study to see how InGo helps exhibitors achieve their ROI objectives. When Reed Exhibitions’ International Security Conference & Exposition (ISC West) wanted to find a way to provide their exhibitors with more highly valuable, event-relevant attendees, they turned to InGo. This just released Joint Case Study takes an in-depth look at how ISC West added InGo to their social media strategy and grew their show with new, first-time attendees. And they did it for an attendee acquisition cost that was half the industry average! Download the full Case Study to see all the numbers. NO DETAILS REQUIRED! 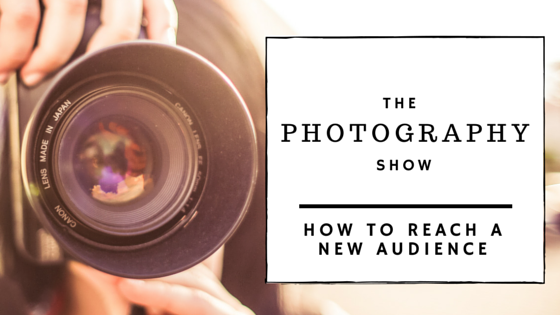 The team at The Photography Show was looking for a marketing solution to help them reach a new audience and encourage word-of-mouth marketing. They were also looking for support in attracting attendees in a younger demographic. They partnered with InGo and installed the full InGo Software Suite. This just released Joint Case Study takes a look at how the The Photography Show used InGo to give their attendees the means, motive and opportunity to become powerful co-marketers for the event, expanding the show’s marketing reach to a much larger qualified audience. Download the full Case Study to see all the results - no details required! Interested in more InGo results. Check out these other InGo Case Studies. Back in 2013, when InGo was in Beta testing, Emerald Exposition’s International Contemporary Furniture Fair (ICFF) show organizers were looking for a way to revitalize their 25 year old Fair. Becoming increasingly frustrated with poorly performing traditional methods of capturing the attention of new prospects, the ICFF team knew social media was the logical answer. They turned to InGo and installed the first version of what is now the full InGo Software Suite. InGo and ICFF have released a joint case study which takes an in-depth look at how the team at ICFF utilized InGo to grow their show by double digits and expanded the event to twice the size it was in 2012, prior to InGo. This rapid growth is the reason that ICFF has just been named one of the Top 25 Fastest-growing Shows in the 2015 TSNN Annual Awards. And ICFF did it for an attendee acquisition cost that was 30 times lower than the industry average! Centaur Live’s Business Travel Show and co-located show Travel Technology Europe brought together 6500 business travel professionals and 250 exhibitors from global brands in February 2015. Centaur wanted a solution to complement their social media marketing strategy that would deliver both event growth and more relevant attendees. To meet this marketing challenge that all #eventprofs face, the show manager turned to InGo. The results: outstanding growth. This case study covers what Centaur was looking for, the solution that InGo provided and detailed results data. Spoiler alert - the show grew 15% and had the biggest show in the it’s 21-year history! Download the Case Study for all the numbers - NO DETAILS REQUIRED!